How Much Does It Cost To Spay Or Neuter A Dog? The question “how much does it cost to spay or neuter a dog” is arguably one of the most asked questions in the dog care niche. It is not out of ignorance but rather out of a growing need to have a clear and documented coverage of the bits and pieces of cost elements involved. Detailed researches and studies have shown that across the board, neutering a dog ranges from$45 to $135. This cost range incorporates pricing from both Humane Societies and low-cost pet clinics. This range is also explained by the weight of the dog. A much heavier dog would have its cost nearing $135 while a lighter one would tend towards $45. The cost of spaying which is considered a complex surgery that removes the ovaries of female dogs, costs between $50 and $175. The weight of the dog again here comes into play. Animal hospitals are amongst the most expensive in carrying out this exercise. Their cost average ranges from $200 to $300. You need to engage experienced veterinarians so as to get quality services at a much lower cost. Neutering involves scrotum incision, removal of the pair of testicles and stitching. Spaying on the other hand is a much more delicate process where the vet makes an incision through the abdominal wall. This is followed by the removal of the uterus and ovaries after which the incision is stitched. Both cases make use of anesthesia to relive the pain during the process. 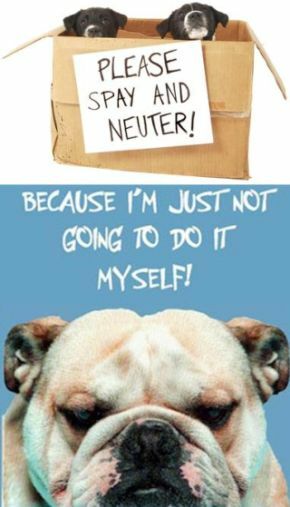 Neutering is beneficial to the wellbeing of the dog because it protects it from testicular tumors and prostatitis. It also reduces certain behaviors that are considered intolerable such as the desire to roam and showing aggression towards male dogs. Spaying on the other hand reduces the risk of developing mammary tumors, uterine tumors and reproductive breeding. According to the American Veterinary Medical Association, a reliable source of veterinary data, a dog that is on heat costs $25 extra to spay compared to the one that is not. Spaying an expectant dog on the other hand costs an estimated $50 to $250 extra. Most pet owners prefer laser surgery because it is safer and less painful compared to the conventional surgery. For this, you will have to pay about 25% to 33% more. To make the process simpler some vets avail a pre-anesthesia blood work. This process is done to ascertain the proper working of the kidney deliver. For this service, the pet owner or custodian will be charged $40. To cater for extra medication which involve an injection administered prior to the surgery and after costs around $10 to $30. This cost also includes a pill to help in the healing process. There are testicular implants that can be administered as an alternative to the incisions and laser surgeries. They cost anything between $94 and $919. Te reason behind such a wide gap in costs is due to the implant sizes and models. Human societies and animal shelters are usually considered the lowest when it comes to neutering and spaying charges. Whenever they give out a dog for adoption, they include these charges as part of the adoption fee. You now have the answers. This comprehensive coverage provides an excellent resource point for credible and reliable information.